Any child would be excited to make their very own delicious Cinnabons! 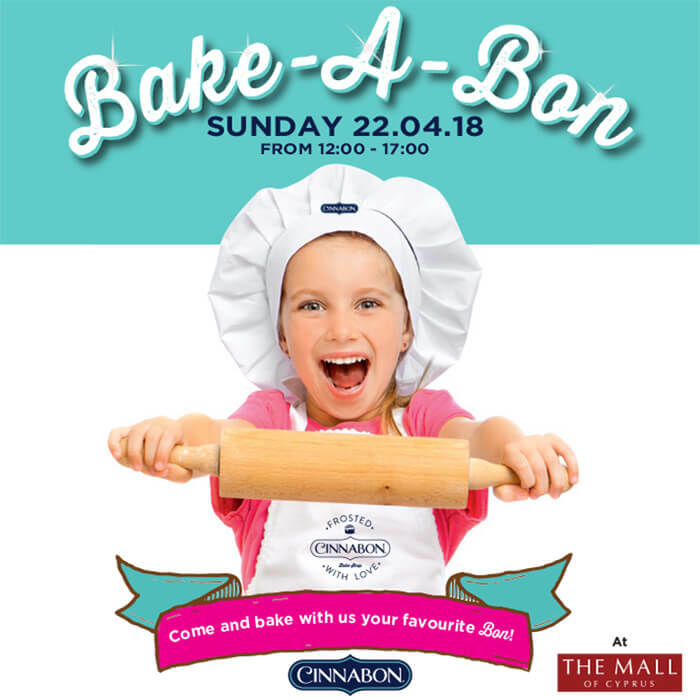 So grab your baker’s hat and apron and join us on Sunday 22nd April at the Mall Of Cyprus between 12:00 and 17:00 and become our little bakers for the day by making your very own Cinnabon treats! Each child take home their own baked treats to share with family and friends. Cost of each participation €5. Looking forward to seeing you all there! !